When Hurricane Harvey slammed into Houston one year ago, residents of the fourth most populous state in the U.S. had little idea they would soon make history. Harvey was a Category 4 storm that caused $125 billion in damage and is the second largest natural disaster in US history behind Hurricane Katrina. Overnight, thousands of lives were upended when over four feet of rain fell on the area. 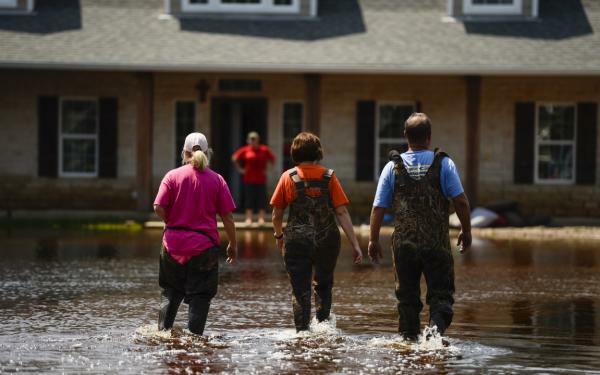 Disastrous flooding forced 37,000 people out of their homes and into shelters. 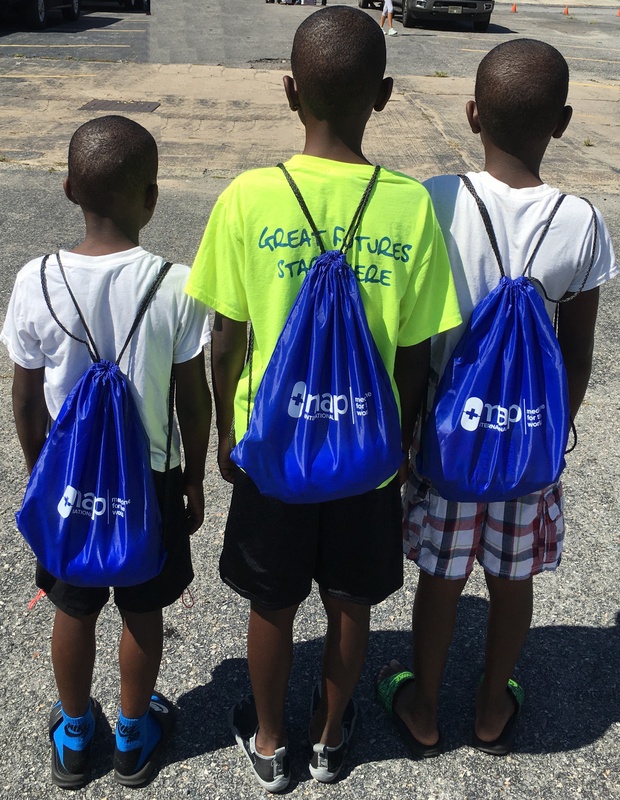 For those living in shelters, MAP International provided Disaster Health Kits (DHK) to serve those in need. In the aftermath of the storm, lives were torn apart. Flood waters, mold and loose debris posed serious health threats for many people affected by this tragedy. Even before a disaster hits, MAP becomes a disaster response center. And much of the preparation necessary for a humanitarian response requires significant advance planning. When we know a hurricane is forming, or receive news of an earthquake, or see refugees fleeing conflict, MAP springs into action. 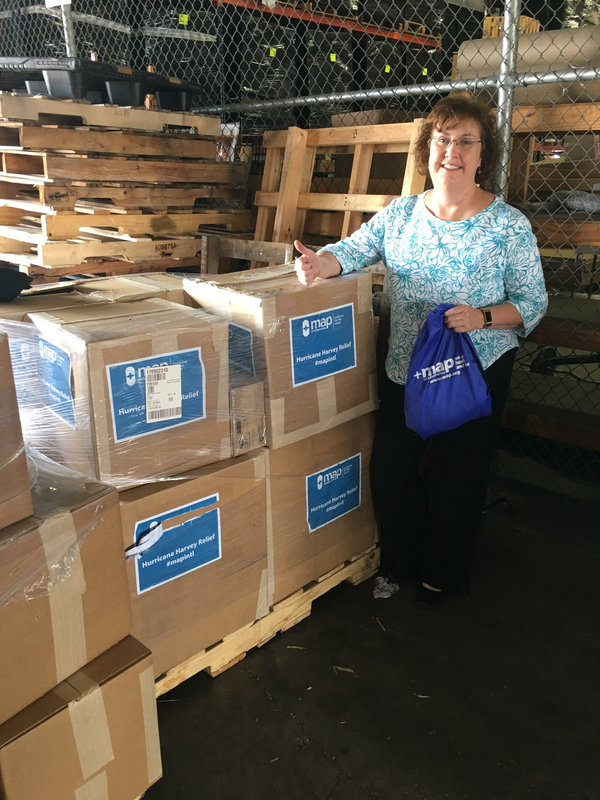 This past week, MAP International hosted members from Rotary International District 6920 to pack MAP's signature Disaster Health Kits (DHK). These kits are readied for a disaster that has yet to happen. Why? It's been more than 100 days since Hurricane Maria shattered the homes, livelihoods, and day-to-day normalcy of thousands of people in Puerto Rico and throughout the Caribbean. Our hearts broke as we witnessed another hurricane devastate the lives of so many following the destructive paths of hurricanes Harvey and Irma. Candice Dyer was moved by the images she saw on television each week as hurricane after hurricane devastated the U.S. and Caribbean islands. Rather than passively allow the news coverage to come and go, Candice felt compelled to act. She told a friend she wanted to do something. As a journalist, Candice knew she had to do her research. The information she discovered about MAP and the highest ratings it has received from charity watchdog organizations impressed her. Houston resident Brent Flaskamp and his family were among the fortunate ones. Relatively unscathed by Hurricane Harvey, they soon realized how small a margin separated them from those who lost everything. “Our church and neighborhood were untouched. But just a mile away, in a low-lying and low income neighborhood, houses were totally flooded,” he says. 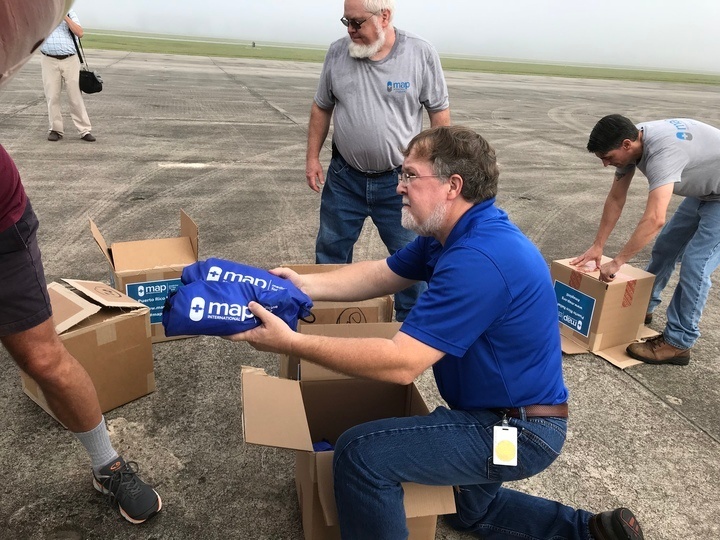 When Hurricane Harvey hit Houston, MAP was ready to respond, providing much-needed Disaster Health Kits to those in need. 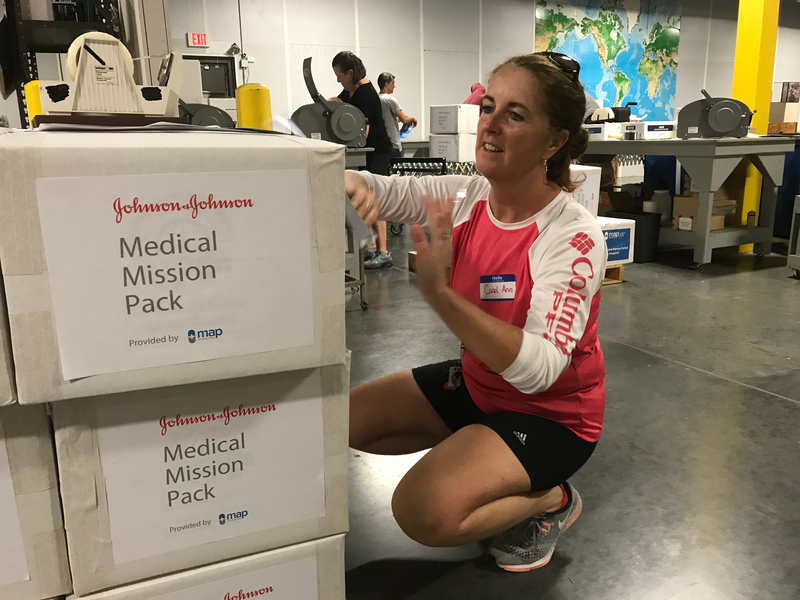 For those displaced from their homes, these Disaster Health Kits provide the most essential hygiene supplies, offering both comfort and important health benefits to those in need. 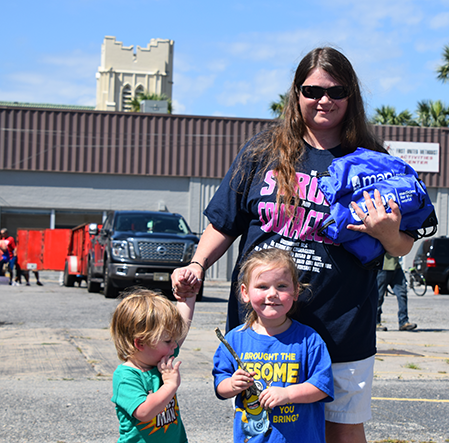 Since the flooding began, our team from Grace Church of Humble, Texas has been working 12-14 hour days coordinating up to 3,000 meals a day for people in the hardest hit communities. Our local church even served as a shelter for four days. “It could have been so much worse,” is a phrase I’ve now heard from people standing in the midst of rubble to those surveying the flood damaged ruins in front yards. It’s a statement of gratitude but also a realization that even when the worst didn’t happen, it will take weeks, months or years to rebuild many lives. Many of our friends and family experienced significant flooding due to the enormous tidal surge from Hurricane Irma. At this time, we ask for your continued prayers for the well-being of all those affected by both Irma and Harvey. 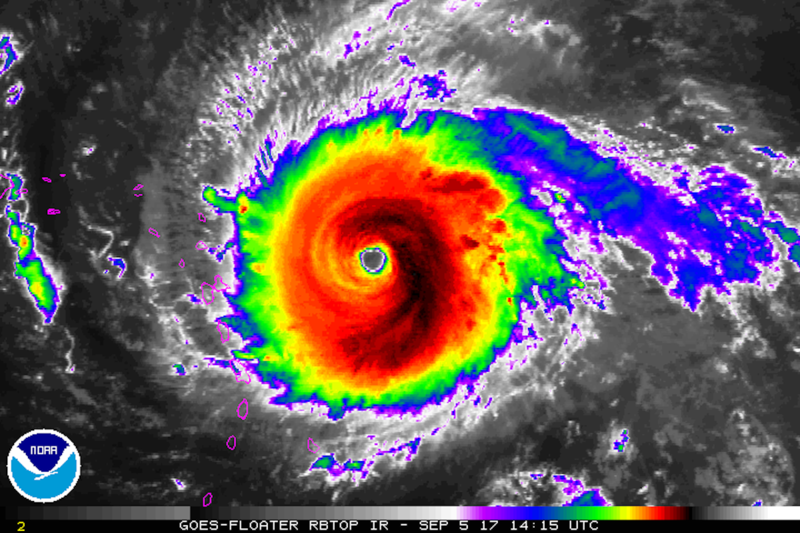 MAP’s international headquarters, located in Brunswick, Ga., is now officially closed since Coastal Georgia is under a mandatory evacuation order due to #HurricaneIrma. 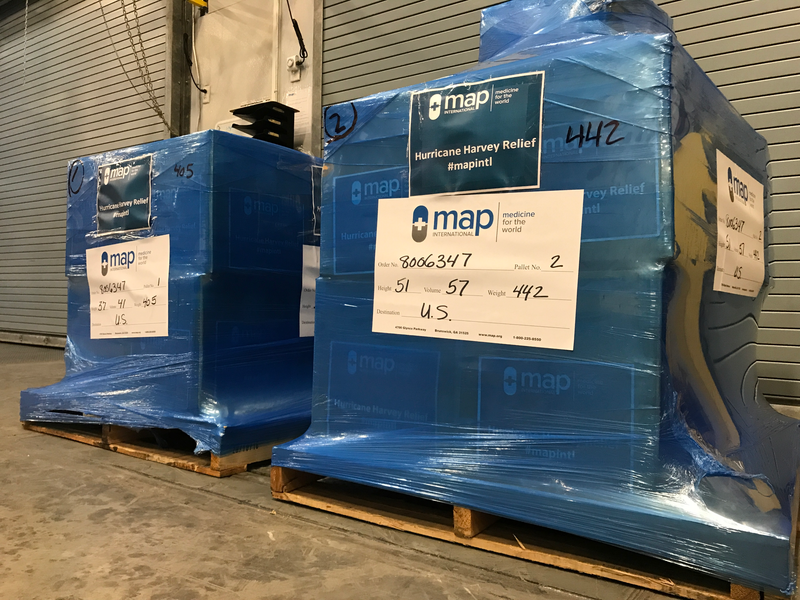 Despite being told to evacuate, a handful of devoted MAP employees worked Friday morning to ship out valuable relief items to Texas.